UPDATED: Wed., Jan. 10, 2018, 4:06 p.m.
WASHINGTON – A new report by Senate Democrats warns of deepening Russian interference throughout Europe and concludes that even as some Western democracies have responded with aggressive countermeasures, President Donald Trump has offered no strategic plan to bolster their efforts or safeguard the U.S. from again falling victim to the Kremlin’s systematic meddling. The report commissioned by the top Democrat on the Senate Foreign Relations Committee is the first from Congress to comprehensively detail Russian efforts to undermine democracies since the 2016 presidential election. It wastes no time in calling out Trump personally for what it describes as a failure to respond to Russia’s mounting destabilization activities in the U.S. and worldwide. The report was obtained by The Associated Press in advance of its public release Wednesday. 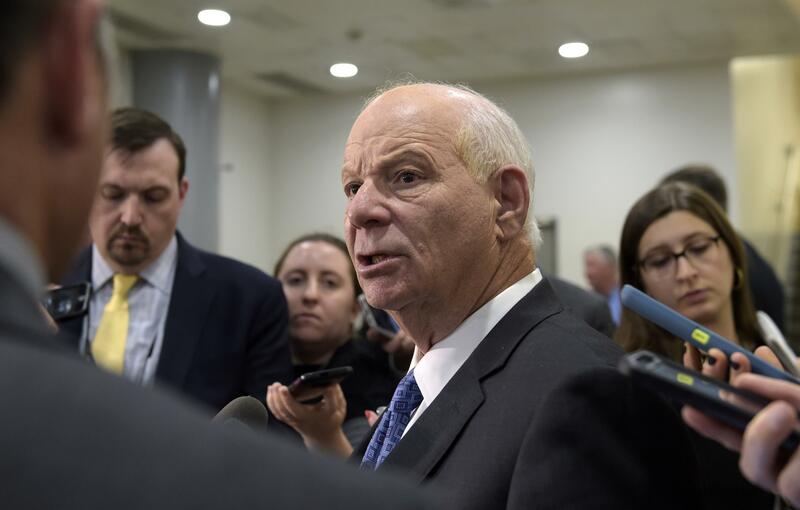 No Republicans on the committee signed on to the 200-plus page report released by Sen. Ben Cardin of Maryland. But even without GOP backing, the report’s recounting of Russian operations in 19 European nations foreshadows the still-unpublished Senate Intelligence Committee’s bipartisan inquiry into Russia’s role during the 2016 U.S. presidential election. Similarly, Finnish officials told Cardin’s investigators that Finland has ramped up anti-disinformation efforts after Russian-leaning Twitter accounts “began tweeting misinformation and fringe viewpoints” before that nation’s 2015 parliamentary elections – foreshadowing the surge in Russian-sourced fake Twitter accounts that proliferated during the U.S. presidential election. Published: Jan. 10, 2018, 11:20 a.m. Updated: Jan. 10, 2018, 4:06 p.m. Tags: Democrats, Europe, meddling, probe, Russia, U.S.